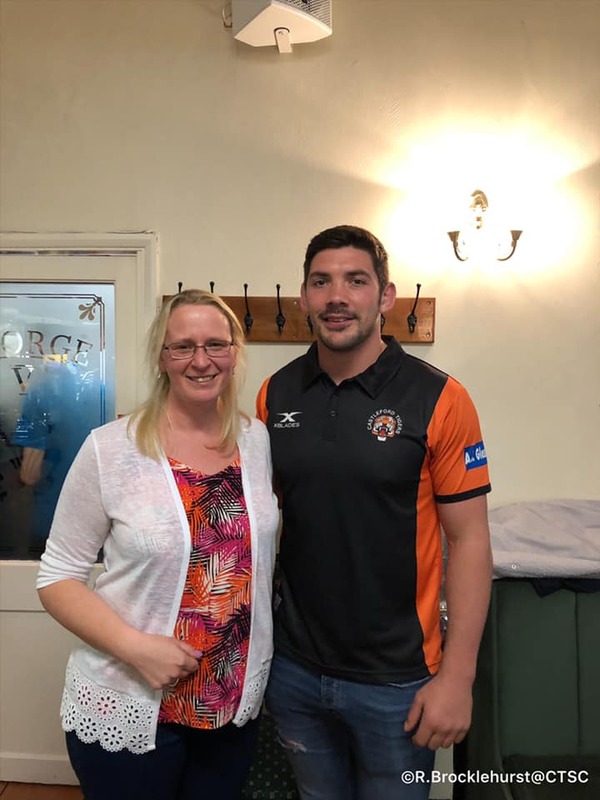 Castleford Tigers Supporters Club :: The Great CTSC Race Night raises a fantastic £1,269.40 for the Castleford Tigers, read report and view photos. Friday 12th April, George V WMC. 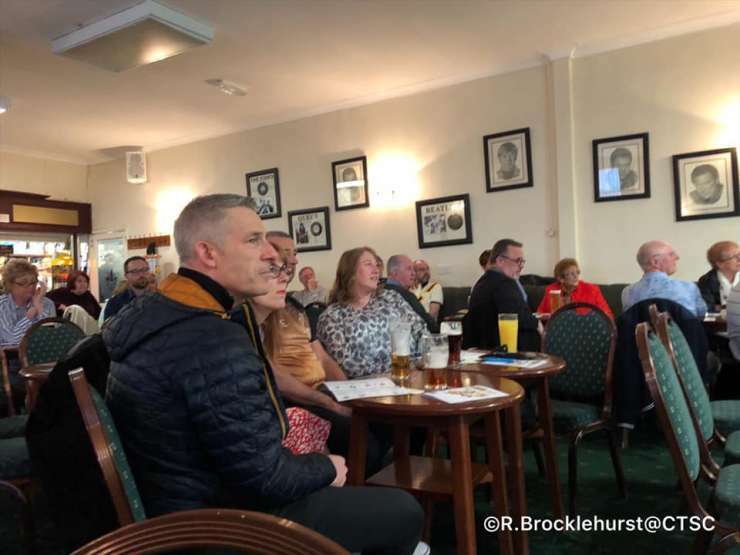 The CTSC annual race night took place, with a decent size audience in attendance. 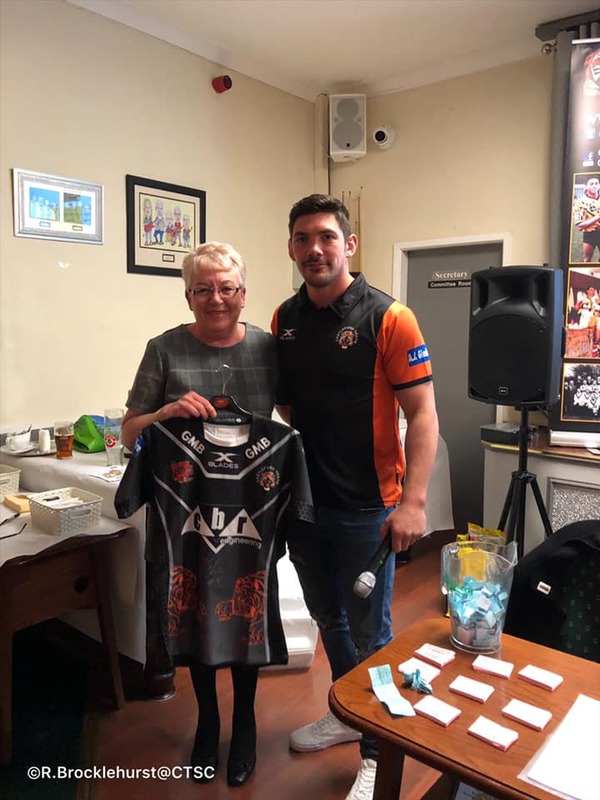 Raffle tickets were sold for the main prize of a 2017 Castleford Tigers shirt signed by Greg Eden, kindly donated by the Castleford Tigers. 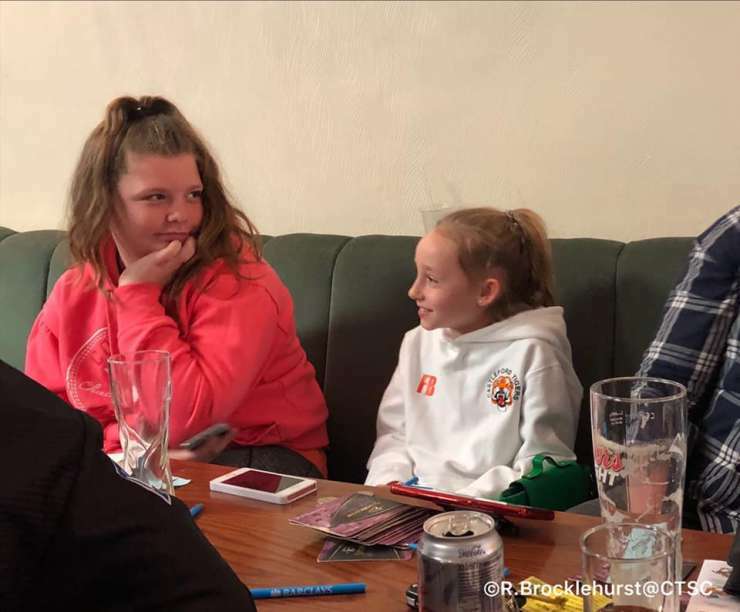 The first race took place at 7.45pm and we had a break after 5 races, when we enjoyed the lovely pie and peas kindly sponsored by the George V WMC. 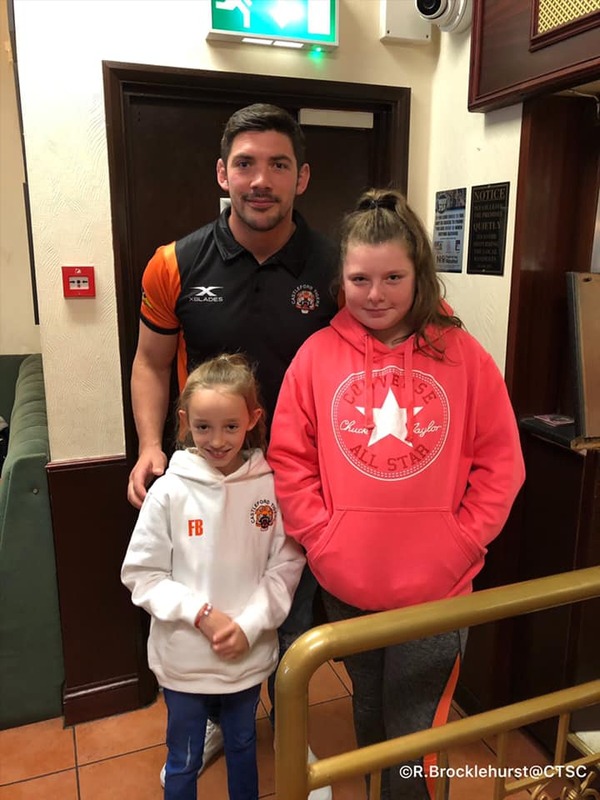 Chris Clarkson was interviewed and he kindly drew out the raffle prizes. We continued with the races, finishing with the last race at 10.00pm. The CTSC Committee would like to thank the following sponsors for supporting the CTSC race night at the George V WMC. Event sponsor, The Bed Shop Superstore, Unit 3a, Baileygate, Pontefract. Race night food sponsor, George V WMC. 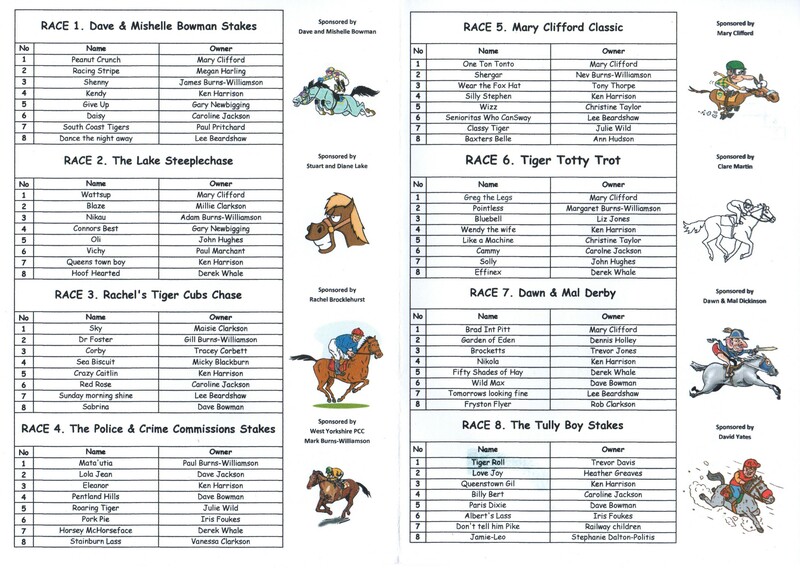 Race night programme sponsor, Steve Bonser. Race DVD sponsor, Paul Burns-Williamson. Race Sponsors, Dave and Michelle Bowman. George V WMC Pool team. 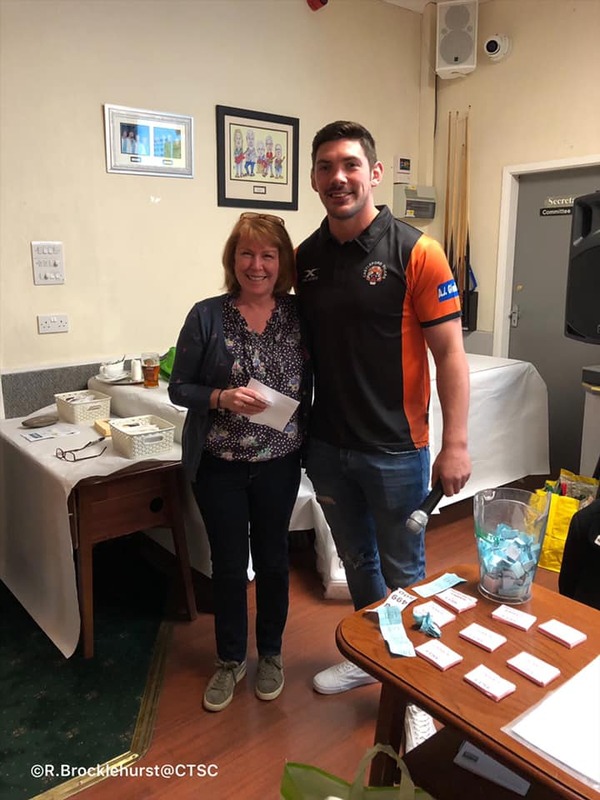 Thanks to Chris Clarkson for attending and drawing our raffle. Thanks to our hosts the George V WMC. 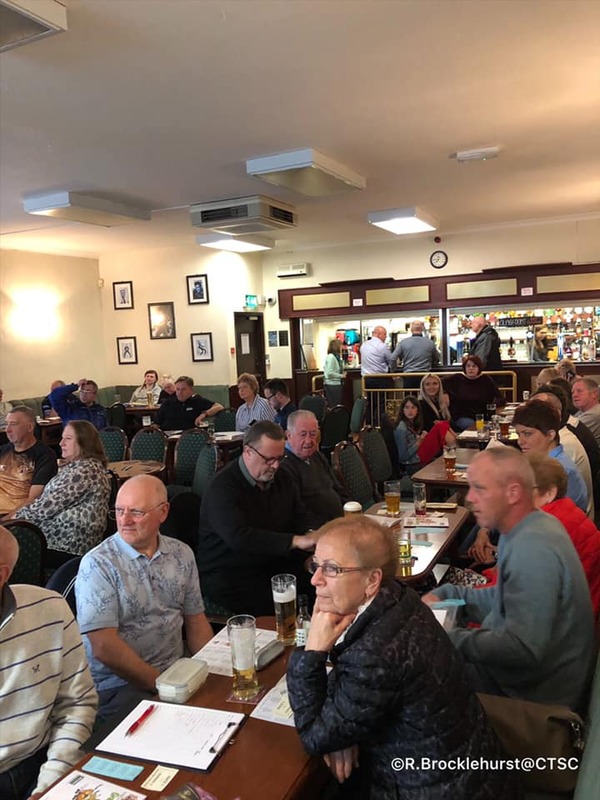 Thanks to everyone who attended, we hope you backed a few winners and had a good time. 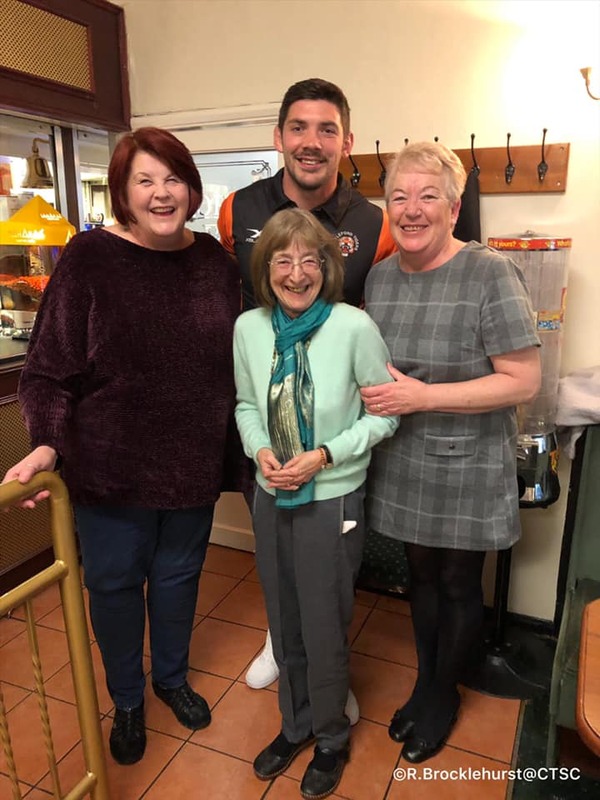 Lastly, a big thank you to the CTSC committee, Michelle, Christine, Rachel, Dave, Liz and Derek for all your hard work putting the show on the road. 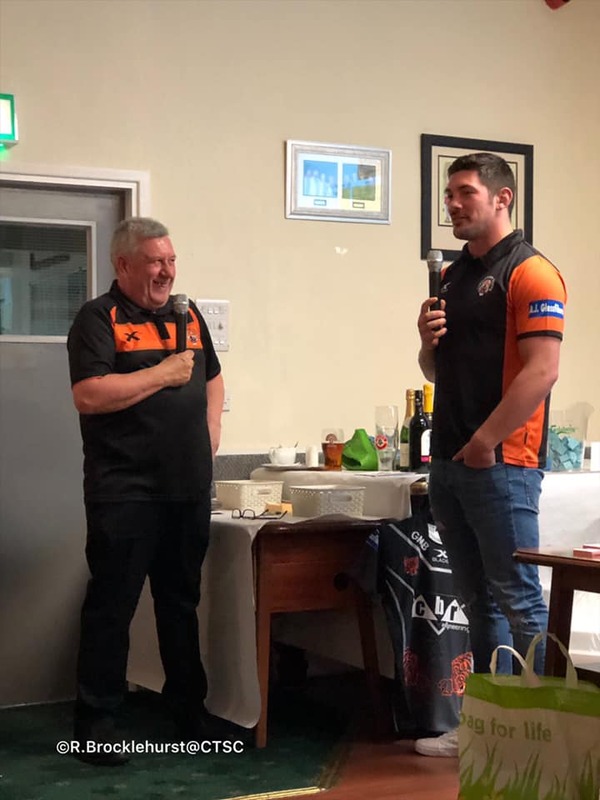 The night raised a fantastic £ 1,269.40 this money will be donated to the Castleford Tigers. 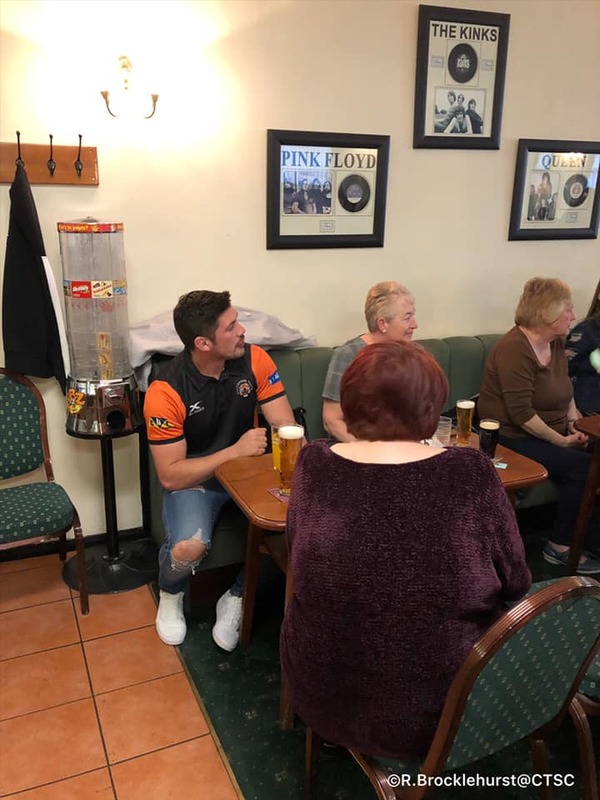 Donations given by the generous support of the members of the Castleford Tigers Supporters Club since its inception in 2004:- now stands at £85,647.58. Guided tour of MAH Jungle, 10th July 2018, report and pictures. 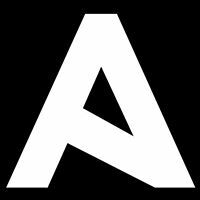 Many thanks to our fantastic sponsors, Executive Event Sponsor, The Powder Keg, Fireworks. Event Sponsor City Electrical Factors, Castleford Branch. 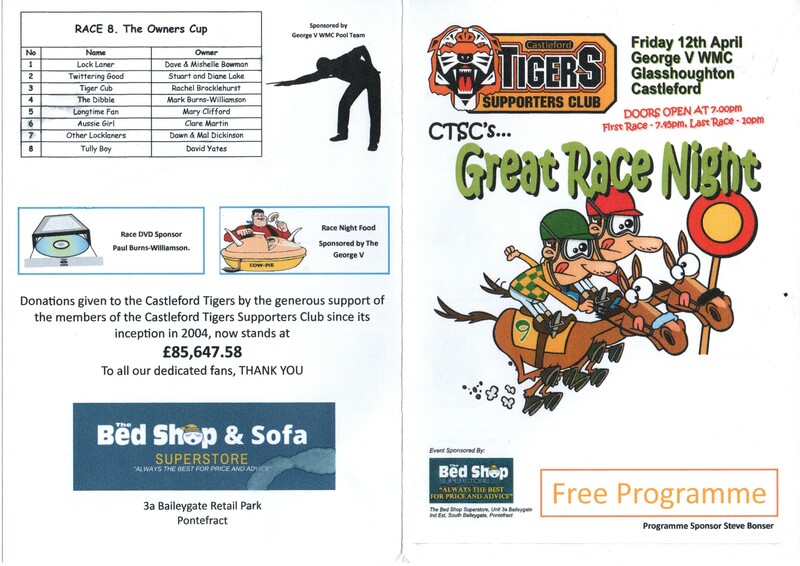 Event Sponsor, Rachel's Tiger cubs, Child minding. CTSC 2018 Player of the year award, sponsored by Churchfield Foods. CTSC 2018 Committee award, sponsored The Black Swan Normanton. CTSC 2018 Under 19s player of the year, sponsored by Faye's Sandwich bar. CTSC 2018 Special achievement award, sponsored by Carpet Magic.